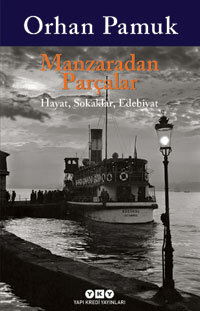 In his new book, Orhan Pamuk writes sincerely of his life and experiences, beginning from his childhood. His father’s death, his political concerns, what he feels when playing football or writing his novels, become part of the grand landscape that the author paints with great meticulousness, including such delicately rendered details as the cigarette-shaped, cheese-filled pastries his mother used to make, the movements of a mosquito on a summer night, or ships gliding down the Bosphorus. With his keen and watchful eye, Pamuk extracts stories from his own feelings of guilt and his dreams, his old barber and the snacks he used to munch on outside in the streets as a kid, just as he tells stories of Istanbul, the Princes’ Islands, New York, Venice, and Calcutta. Whether speaking of A Thousand and One Nights, the novels of Dostoyevsky, artists of yore, or Selimiye Mosque, Pamuk’s voice, as he tells us of his thoughts and feelings, is that of a familiar and unforgettable storyteller. This book takes us on a journey extending from the barbershop to elevators, from the experience of viewing the world through the eyes of a child to anxiety over earthquakes, from traffic and religion to old city fires and destruction, proving once again just how new and interesting the world can be, when viewed through the eyes of Orhan Pamuk.